The practices of lucid dreaming, dream yoga and reality shifting are fueled by a practitioner’s growing self-awareness, stability of mind, and willingness to break from the emotional and belief patterns of mass consciousness. A deeply ingrained belief of mass consciousness is that it is normal and appropriate for a person to stew in negative emotion following a perceived negative event. Most individuals caught is this pattern are completely unaware of the creative force of their own thoughts, beliefs and emotional states. When they respond to perceived negative events with strong negative emotion, and then remain in that emotional state for long periods of time, they unconsciously generate similar future events and reactions. "We who lived in concentration camps can remember the men who walked through the huts comforting others, giving away their last piece of bread. They may have been few in number, but they offer sufficient proof that everything can be taken from a man but one thing: the last of the human freedoms—to choose one’s attitude in any given set of circumstances, to choose one’s own way." The cultivation of preferred emotional states should not be confused with the idea of repressing emotions. It is natural for emotions to wash through us like passing storms – in fact, this helps to facilitate the flow of energy through our bodies. Conscious awareness of these emotions does not repress them. With conscious awareness, we benefit from both the flow of the emotion and the perspective of awareness that empowers us to pivot in a new emotional direction if we conclude that we do not wish to continue to nourish and activate the old emotional pattern. Jill Bolte Taylor, a Harvard-trained brain scientist, experienced a complete shutdown of the left hemisphere (which is responsible for linear, logical and critical thinking) of her brain as a result of a massive stroke caused by a ruptured blood vessel. Functioning for an extended period with only with her right hemisphere, she found herself freed from the critical judgments of her left brain and connected to the peace and well being of her expanded self. She teaches that we each have the power to purposefully choose to "step to the right of our left hemispheres" and connect with the incredible peace and joy that she experienced. Her desire to share her experience was the motivation for her recovery. Her TED Talk (pasted in below) is simply amazing and well worth 18 minutes of your time. "I own my power in choosing what I want to spend my time thinking about and how I want to feel. If I want to retain my inner peace, I must be willing to consistently and persistently tend the garden of my mind moment by moment, and be willing to make the decision a thousand times a day." If we have the power to cultivate desired emotional states, this raises an obvious question: Which emotional states should we cultivate? The answer to this question involves personal choice and our world benefits from diverse preferences. "A successful dream yogi must be stable enough in presence to avoid being swept away by the winds of karmic emotions and lost in the dream. As the mind steadies, dreams become longer, less fragmented, and more easily remembered, and lucidity is developed." • Calm Awareness (passive relaxed concentration). I like the phrase “calm awareness” (a phrase that came to me through a coincidence that I described earlier in this website) to describe relaxed concentration when practiced in a passive context and typically without substantial interaction with others. Generally speaking, my goal with calm awareness practices is to cultivate calm by focusing inward on the sense the aliveness within my body. • Flow (active relaxed concentration). I like the phrase “flow”, coined by psychology researcher Mihaly Csikszentmihalyi, as a descriptive term for relaxed concentration when practiced in more active contexts. 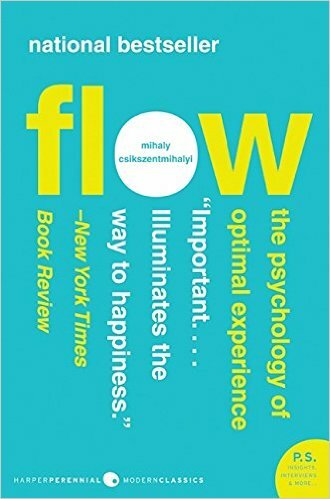 In his book, Flow: The Psychology of Optimal Experience (1990), Professor Csikszentmihalyi summarized decades of academic research about the benefits achieving the state of relaxed concentration in a variety of active settings, including music, sports, dance, sailing, hobbies and many workplaces. When in the state of “flow”, our attention is consumed by a single activity and we release all ordinary worries. Here is an exercise in relaxed concentration. Say "Mihaly Csikszentmihalyi" ten times. • Medical research in recent decades has revealed that anxiety and stress are at least contributing causes to most physical illnesses, and that relaxed states of consciousness are highly beneficial to personal health. 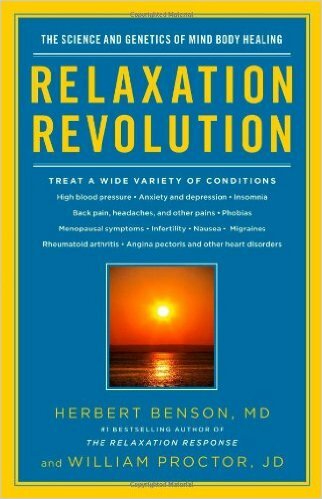 For an excellent summary of this “relaxation response” medical research, I recommend Relaxation Revolution: The Science and Genetics of Mind Body Healing (2011) by Herbert Benson and William Procter. Along these lines, I also recommend The Biology of Belief (2005) by Bruce H. Lipton. 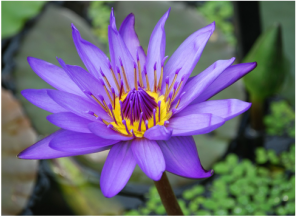 • The psychology research studies performed by Professor Csikszentmihalyi and others demonstrate that regular achievement of the state of “flow” is closely correlated with creative expression, self-actualization and personal thriving. Musicians, writers, artists and athletes offer us countless examples of how seemingly impossible bursts of creativity can be achieved when we relax into and flow with a deeper part of our being. • Both states serve as a strong foundational states for exploring other, arguably higher, states of consciousness that I desire to experience. For instance, the states of excitement, exhilaration, lucidity (see more below), and grace (see more below) are very accessible from the baseline states of calm awareness and flow. 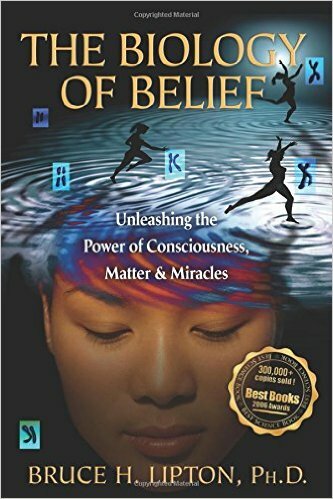 • The cultivation of calm awareness, in particular, is like rocket fuel for lucid dreaming. In the midst of an ordinary non-lucid example (sleep state) dream, the events of the dream can cause emotions like fear or anxiety to well up within me. Before I began actively cultivating calm awareness in my life, fear and anxiety simply felt “normal” and my encounter with these emotions in a dream never triggered lucidity, except perhaps in an extreme nightmare. Once I began to cultivate calm awareness as one of my baseline emotional states, however, I started to more easily take notice of anxiety and fear as being “out of place” in my dreams. In this way, anxiety and fear became “dreamsign” or “lucidity cue” emotions that have frequently helped me to trigger lucidity. This same principal has played out in my physical reality (day life) dream. When I feel fear or anxiety in my life, these feelings contrast noticeably with my normal backdrop of calm. As a result, I’m much more likely to be consciously aware of these emotions when I encounter them. A conscious encounter with fear or anxiety serves me more than an unconscious encounter with either emotion. When I encounter one of these emotions consciously, I have the opportunity to evaluate the situation surrounding the emotion with heightened awareness, and to adjust my thoughts and beliefs about the situation if I desire to attract different experiences and different emotional states. “Consider the lilies, how they grow: they neither toil nor spin; but I tell you, not even Solomon in all his glory clothed himself like one of these” (Luke 12:27). Grace and allowing are very accessible from the baseline states of calm awareness and flow. In the Inner Guidance section of this website, I told the story of my starfish example dream that was quickly followed by a starfish encounter in my physical reality dream. As a result of that experience, the starfish has become my personal symbol for grace and allowing. Like the lilies of the field, a starfish neither toils nor spins. 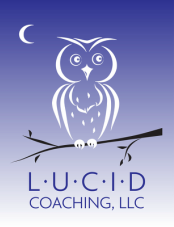 Many lucid dreamers have reflected upon the fact that lucid dreaming comes to them more easily when they simply allow the experience. Dream 5 (6:12 AM). I have an appointment with a counselor on Daniel Island. I knock on her door. Her name is “Gracie”. I open the door after knocking. I see that she is inside a very small studio apartment. She is at a desk immediately in front of me. The desk is facing the opposite wall. Thus, initially, her back is to me. I look to the right and see a bed that looks messy. She is sitting and working at her desk. I feel like I am intruding into her personal space, but she tells me it is fine for me to come in. COMMENT: I think “Gracie” represents the idea of grace. The small size of her apartment suggests that I have not given “grace” a lot of space to work with. The clear implication is that I still rely too much upon physical effort in my life and there is an opportunity for me to create a larger role for grace, allowing etc. The fact that she is female may be intended to reflect the association of grace with feminine (yin) energy.